﻿﻿﻿﻿﻿﻿﻿﻿ ﻿ On Monday, January 3, 2011, Papua New Guinea lost one of her most creative sons – the actor, screenwriter, theatre director, musician and environmentalist, William Takaku. Firstly, I would like to extend my deepest sympathy to William's family, his children, and his many friends for their great loss. I had the great privilege to have known William as a friend and colleague, working together in theatre, radio production and writing during the most-productive period of both our lives. I first met William when he arrived at the new University of PNG in 1968 to commence an undergraduate degree in law. William soon realised that the dry demands of law were not for him! His heart was set on more artistic endeavors, especially to be a performing artist and an actor. Fortunately, the then recently-formed National Art School had commenced recruiting actors, dancers and musicians to be the nucleus of a National Theatre Company. Funds were provided by the Government's National Cultural Council. Here, William quickly established himself along with other talented young people from all over the country. His colleagues included people like Kilori Susuve, Roslyn Bobom, Rodney Kove, Markham Galut, Tania Daure, Sam Paulas, Sebastian Miyoni, Michael Tavil, Domba Galang, Joe Mararos, Matalau Nakikus, Gundu Raka-Kagl, Nicolas Gioni, Golila Pepe, and Pengau Nengo, under the directorship of Arthur Jawodimbari.
. 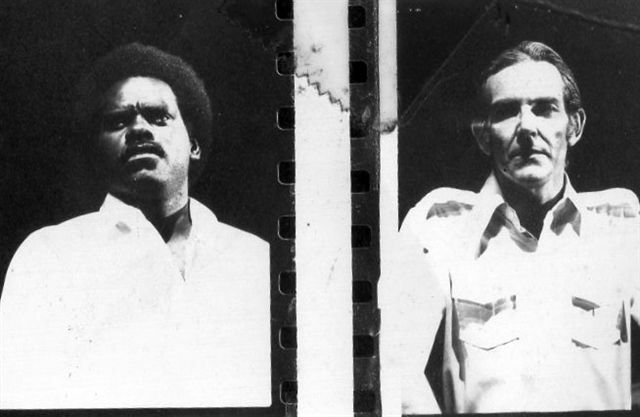 Together with William, they became PNG's first theatre professionals. 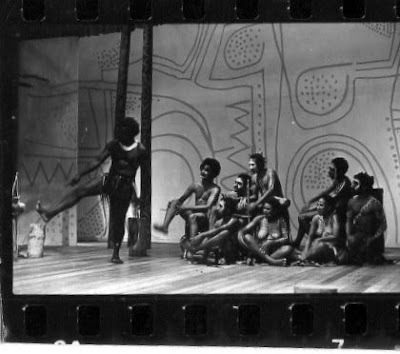 The company's repertoire included scripted plays such as Voices From the Ridge and Wilma, Wait, improvised plays and traditional dances devised by the actors. As anyone fortunate enough to have seen these plays, they will recall that the presentations were often enlivened by comedy - which audiences loved. A popular village-originated performance piece was the bawdy and very physical sketch about the trials of a poor man suffering elephantiasis. This play – Bik Bal, was typical of the company's early successes. Around this time, I was asked to join the company's board of directors with Arthur Jawodimbari, Nora Vagi Brash, Jon Bili Tokome and Rose Kekedo. I helped organise and direct their first national tour to Lae, Kainantu, Goroka, Mt Hagen, Wapanamanda, Wewak, and Madang. The tour's highlight was a comedy written by William (in Tok Pisin) called Pekato Bilong Man. Very loosely based on the Bible's Book of Genesis. 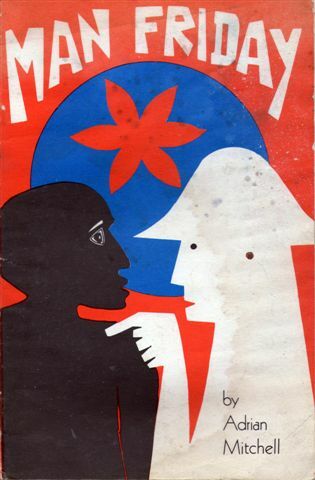 William adapted to a PNG setting, a Nigerian play The Fall by Ulli Beier. In William's version, God's tree of the forbidden fruit became PNG'S betel nut palm! Because of his success with the company, William attended a special course at the National Institute of Dramatic Art in Sydney (NIDA). His fellow students included Mel Gibson and Judy Davis. William's NIDA teachers, such as Margaret Barr, admired his ability in improvisation, movement and acting skills. One legacy of William's NIDA study was his adaptation of the ancient Greek play, Medea about a woman's terrible revenge on her husband. Transposed to PNG Highlands with dialogue in Tok Pisin, the play had William's fellow NIDA student Helen Jones (later featured in the film Bliss) as the vengeful Medea. Helen, as the outsider, convincingly became the character in William's conception, against the cast of National Theatre Company players. For the National Broadcasting Commision, where I worked as senior producer drama and features, William's vocal talent was heard in many radio dramas such as As the River Flows (with Pauline Beni), and in his friend Albert Toro's serial The Sugar Cane Days – about the notorious Queensland 'Kanaka' trade. 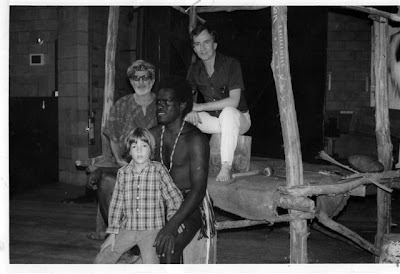 Under my direction, and with the encouragement of Ulli Beier (then head of the Institute of PNG Studies), William starred in what would become his most-famous role. This was as Man Friday in Adrian Mitchell's parable of colonialism. 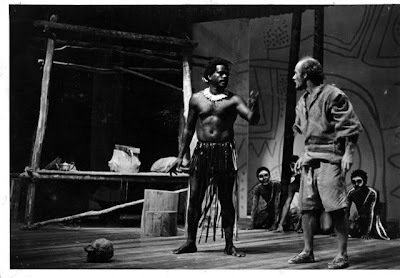 The play presented 'Robinson Crusoe' (played by Norman Vaughton) begging 'Man Friday’ to be forgiven his past wrongs, and to be allowed to be part of Friday's tribe. In the immediate pre-independence period – when some expatriates were considering taking on PNG citizenship, the play struck many familiar chords. Man Friday had original music by Sanguma and members of the National Theatre and Music School. The striking set and costumes were designed by the acclaimed artist Georgina Beier. Above all, Takaku was charismatic, charming and dignified as the central character. 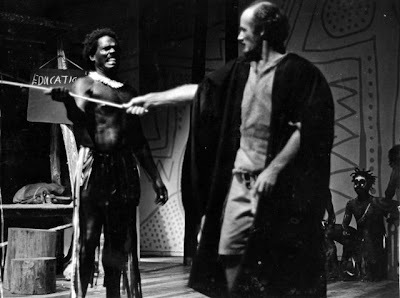 After this great success, William later appeared in my production of John Kolia's play Going Finish, set in contemporary Port Moresby. William played a radical PNG student, patronised by an Australian accountant (Ian Boden). ﻿ The Australian family was about to 'Go Finish', but complications ensue when the student falls in love with the accountant's blonde wife (Kerry Bamford), who decides she wants to stay with her lover in PNG. Audience preconceptions were challenged by the physicality of Takaku's character in an interracial sexual relationship. Following these stage successes, William was cast again as Man Friday in the 1997 American-financed film Robinson Crusoe opposite the Irish actor and (ex-James Bond) Pierce Brosnan. This was shot in Madang and directed by George Miller and Rod Hardy. The film was first shown on US cable TV, and then given a world-wide release. This was not William's first venture into filming. In 1992, with his wantok Albert Toro, he co-wrote, directed and appeared in the television mini-series Warriors in Transit. The series had theme music by Sanguma and followed a story line of a family's struggle in a Port Moresby squatter's settlement. There were eight, 25 minute episodes. 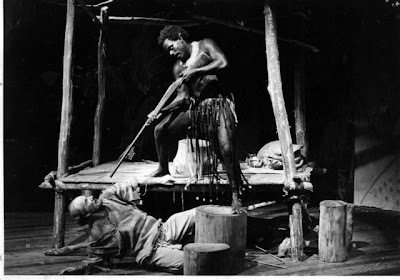 Warriors In Transit was hailed as: "The first ever television drama wholly conceived and produced by Papua New Guineans”. One of the themes of the mini-series was the destruction of the environment in the service of 'progress'. Earlier, William had composed and written a folk opera called Erberia. He based the libretto on traditional creation legends from Bouganville. Erberia was performed at the PNG Festival of Arts. All his life William had a deep concern for the environment. He felt the need to preserve and maintain the natural world of forest, islands, mountains and sea that were the birthright of all Papua New Guineans. After his time with the National Theatre Company, William directed the Milne Bay Provincial Theatre Group. Here concerns were focused on the increasing destruction by international logging companies of the pristine forests of Milne Bay islands, such as Woodlark. William and his theatre group performed plays for villagers that expressed concern at the consequence of this environmental destruction. In a 2000 interview with the Australian film maker Liz Thompson, William said: “Traditionally, arts and ceremony were used to pass on beliefs, morality and codes of behavior. “Ceremonial art was integral to the ordering of society. William's continuing legacy and example to us all should be to maintain the creative spirit he so trusted and valued. He believed in the strength of art, expressed through performance, writing, music and creativity. William dedicated his own life to enrich the cultural heritage of his country, Papua New Guinea. 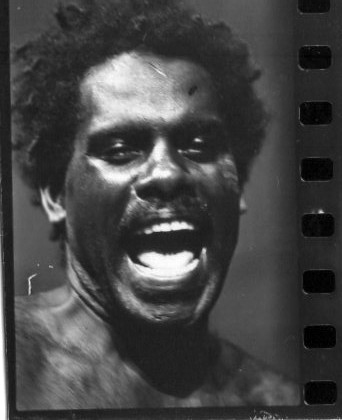 William was a great Papua New Guinean. He showed his patriotism and love for his country through art. Thanks for this insight, especially on my close family friend's early career. He also did much work in a smaller community setting on Bougainville including in his home village of Pidia. I remember sitting with him on the limbum floor of his humble home in the village. A rare talent who could be described as the conscience of Bougainville. Thank you, Peter [my classmate from Canberra High] for such an insight-ful tribute. I met William, but didn't know him well, except for his stage work. The pic including old friend the late Ian Boden brought back memories, as well as most of the other names you mentioned. What a golden age that was! William, you will be sadly missed by future generations who read/hear about those years. Thanks for this tribute. William was a man who impressed so many people, and is deeply missed. Thank you Peter Trist - your fine words about William have brought back so many memories. My thoughts are with his friends and family who must be struggling to cope with such a sudden and enormous loss - I am ten thousand miles away from Bougainville and it's so hard to grieve from such a distance with no one to share the sadness. I remember those evenings under the stars at the National Theatre and the open air theatre at UPNG. William was wonderful when he was using his performing skills to express his concern for environmental and social issues. He participated with John Kasaipwalova in a film called "The Last Magician". I worked with him in the early 90s on "Em I Graun Bilong Yumi" a film that documented the value of theatre as an information tool in Papua New Guinea, Solomon Islands and the Republic of Vanuatu. My son Tom's middle name is William - I'm not sure I ever told Takaku that I had named my son after him - Tom is now studying Performing Arts and hopes to visit his sisters in Rabaul and work in Vanuatu later this year. I am so sorry that he will not have the chance now to go to Bougainville and sit at William's feet and learn from him. I am so sorry. Simon Swale. I have just heard about William's death and am still in shock as I so confidently presumed that I would be seeing him again soon. He was a truly great actor and a great theatre person and a brilliant cultural ambassador for his country and an inspiration to all who knew him and worked with him. The world is a much less interesting place without him; but it is so much the better for having benefitted from his wonderful life and art. My heartfelt condolences to his beloved family. Peter can you help me contact them? My heart is broken. I was fortunate enough to work with William on the Movie, Robinson Crusoe with Pierce Brosnan. I remember thinking then, that this was quite possibly the most intelligent man I had ever met. I still think so today. Rest in peace my friend, the journey continues. Just watched your Man Friday with Pierce, again. hello my name is PEDRO BAMBI, iam from Angola, a country in Africa.last week i watched the movie ROBINSON CRUISOE which i almost cried seeing MAN FRIDAY killed i everyday think about that movie as a reality.Now it is a big loss that we dont have him alive anymore, he did his best as long as he lived. it is my tribute to him. Having just watched the film Robinson Crusoe with my family I am saddened to learn about Mr Takakus death. I very much loved his performance and was researching other movies in which he had performed when I learned about his passing. My deepest regrets go out to his family. He was truly a gifted actor. Why is William Takaku's date of birth unknown? And how can one explain the laziness of the many journalists writing about Mr. Takaku's life and career in the PNG cultural scene to simply ignore the omission of his date of birth? What's his birth date? Would you know by any chance?